Work is progressing well ahead of the new opening of the third Kitty Cafe in the UK. 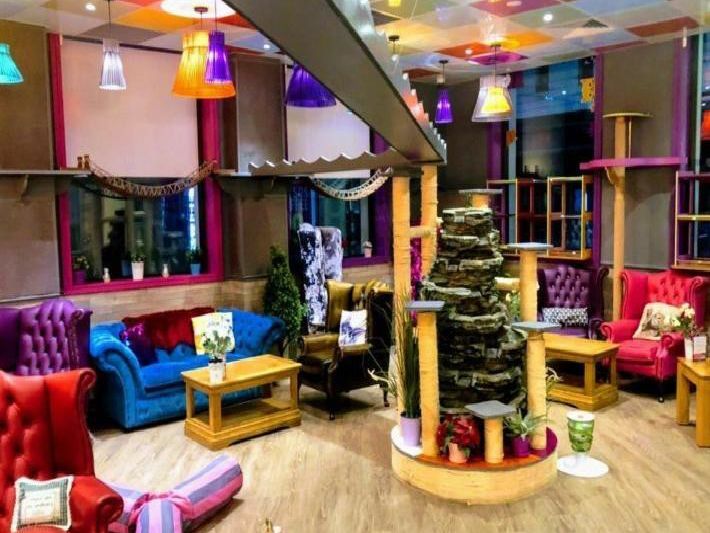 The hugely popular Kitty Cafe - complete with a bespoke cat playground - is due to open in Birmingham on May 20, it has been revealed. The owners said: "Kitty Café Birmingham is starting to come together really well, with our team working hard to make Kitty Café Birmingham simply amazing!" Grand Central in Birmingham New Street Station was announced as the third location for the latest venue after phenomenal success in Nottingham and Leeds. Kitty Cafe Birmingham will follow the other locations with large 'quirky' spaces, lots of colour and a bespoke cat playground. Most of the 30 cats that will live at the cafe will be rescued, rehabilitated and rehomed. Enjoy afternoon tea, pizza and a cat themed mocktail all in the company of fluffy kitties. Availability will be limited in the first few weeks of the opening in Birmingham to allow staff and kitties to get used to everything. Email birmingham@kittycafe.co.uk or call 01159242214 to be one of the first people to experience the cafe before the official booking system opens.